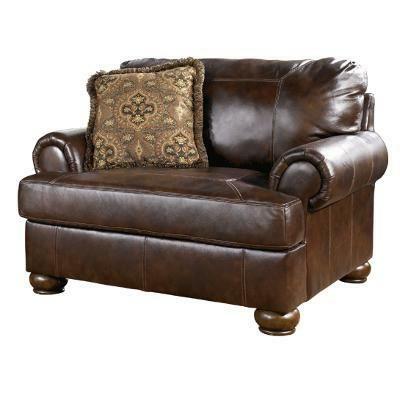 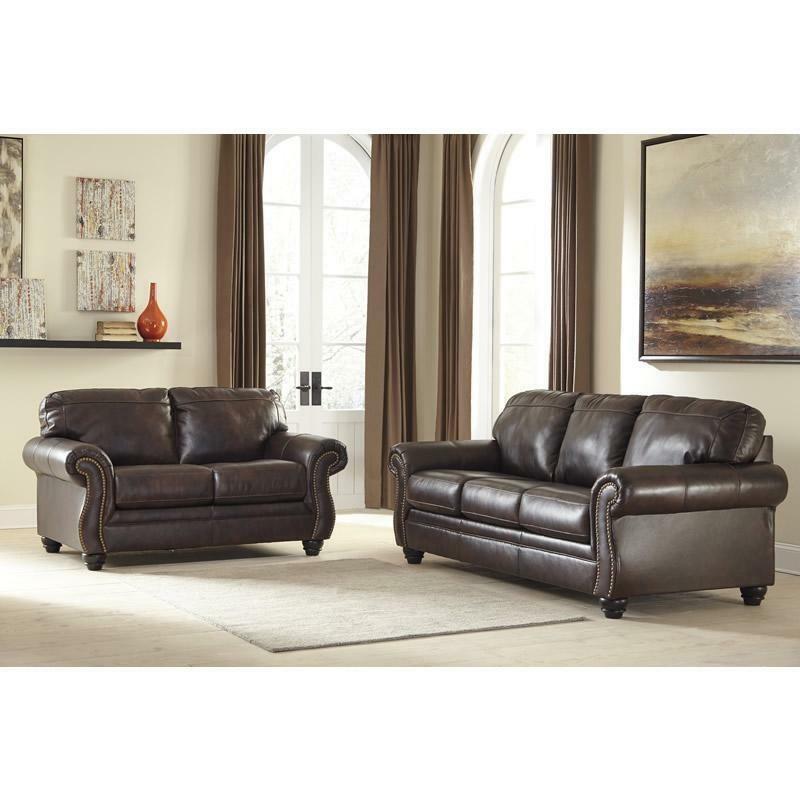 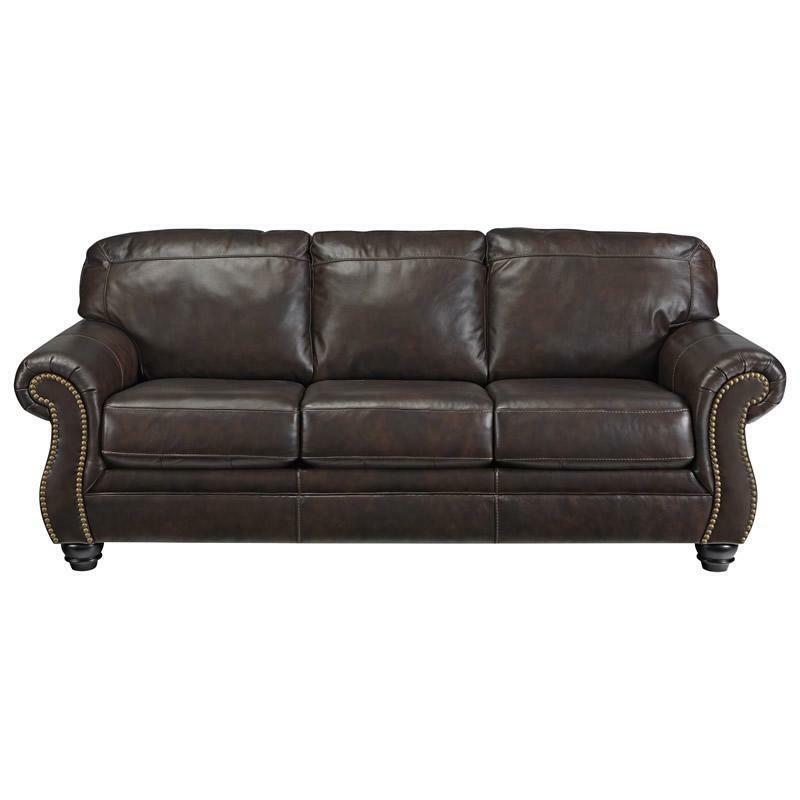 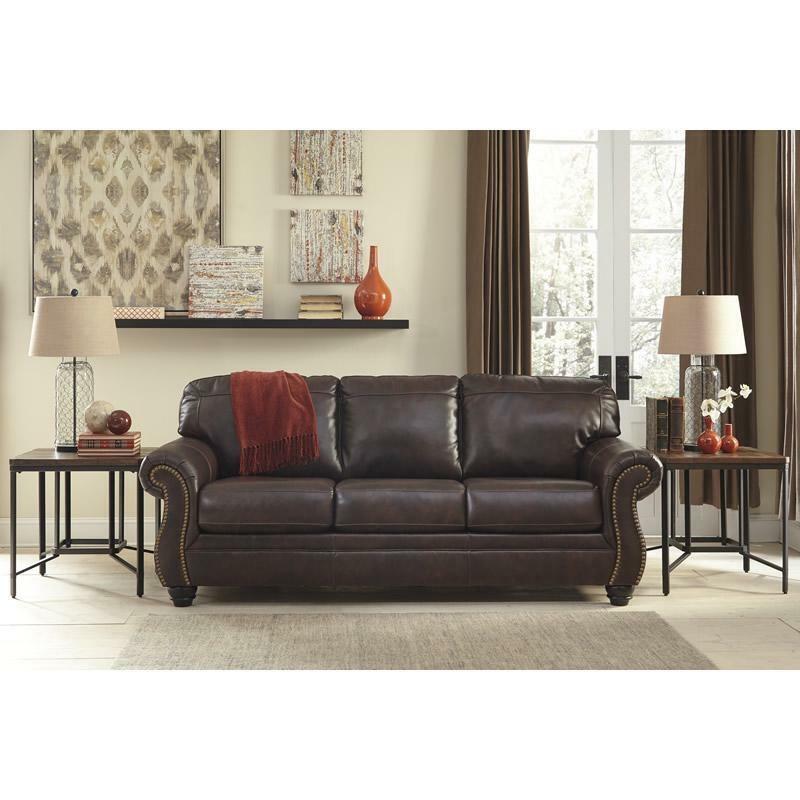 Set your heart on the alluring leather Bristan queen sofa sleeper from Signature Design. 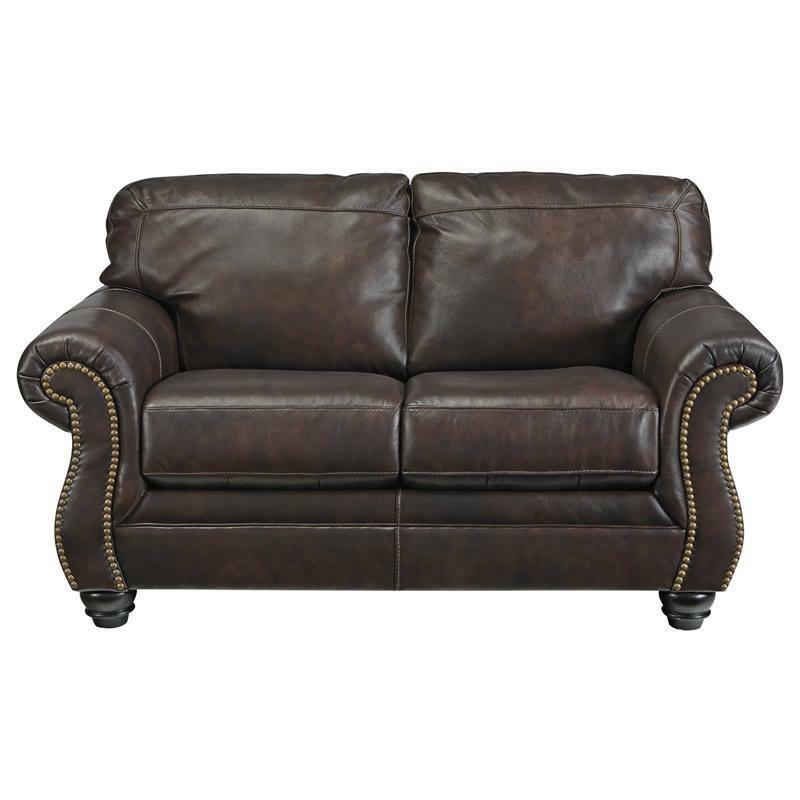 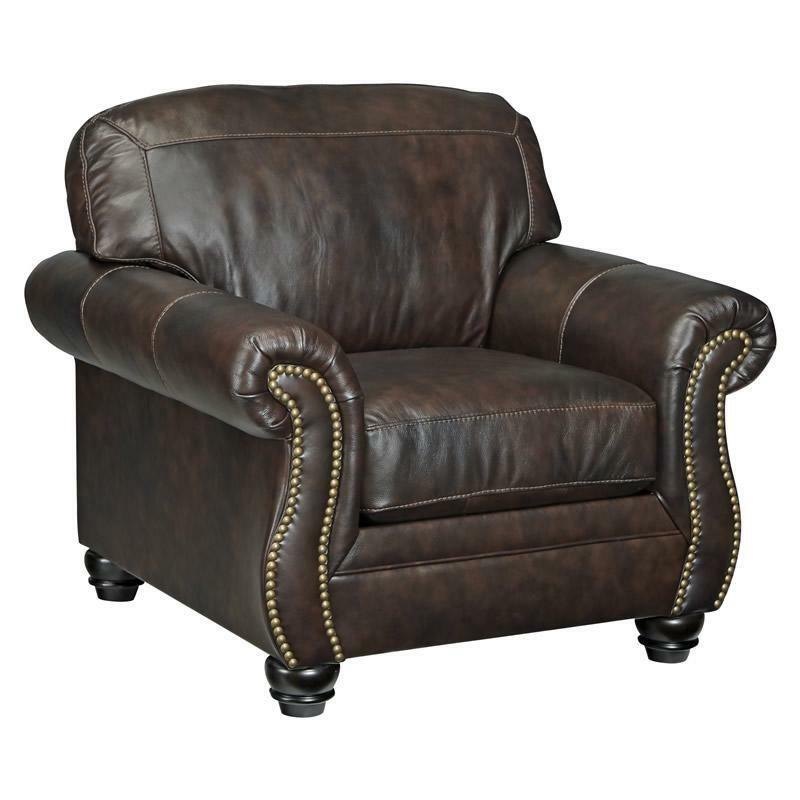 With a blend of natural colors, beautifully jumbo stitched design and inviting nailhead trim enhancing the padded armrests, this classic sofa sleeper is a perfect spot for relaxation. 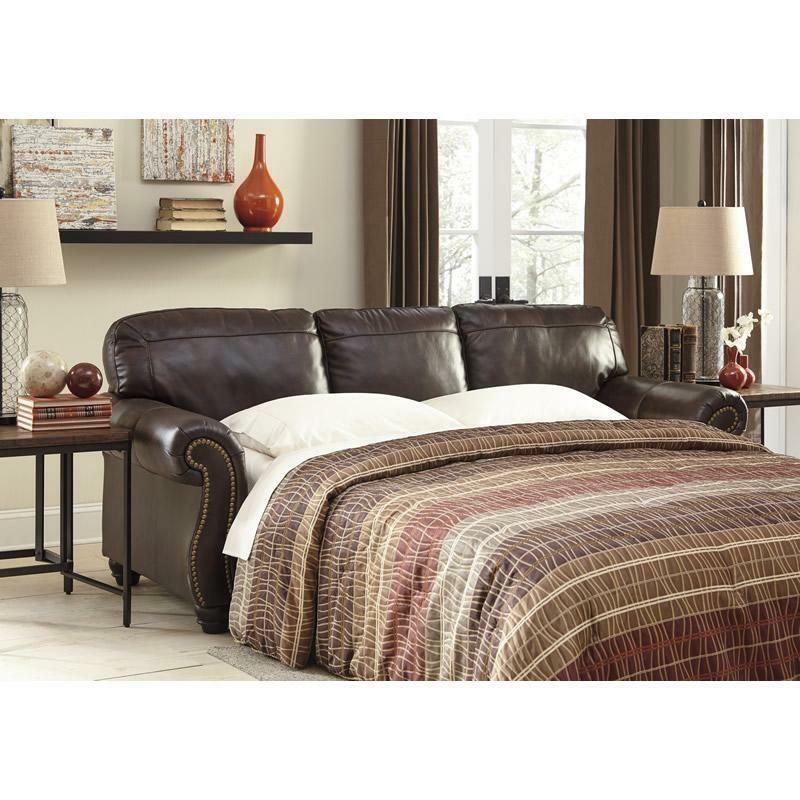 Use the easy lift mechanism to pull out the memory foam bed for overnight guests. 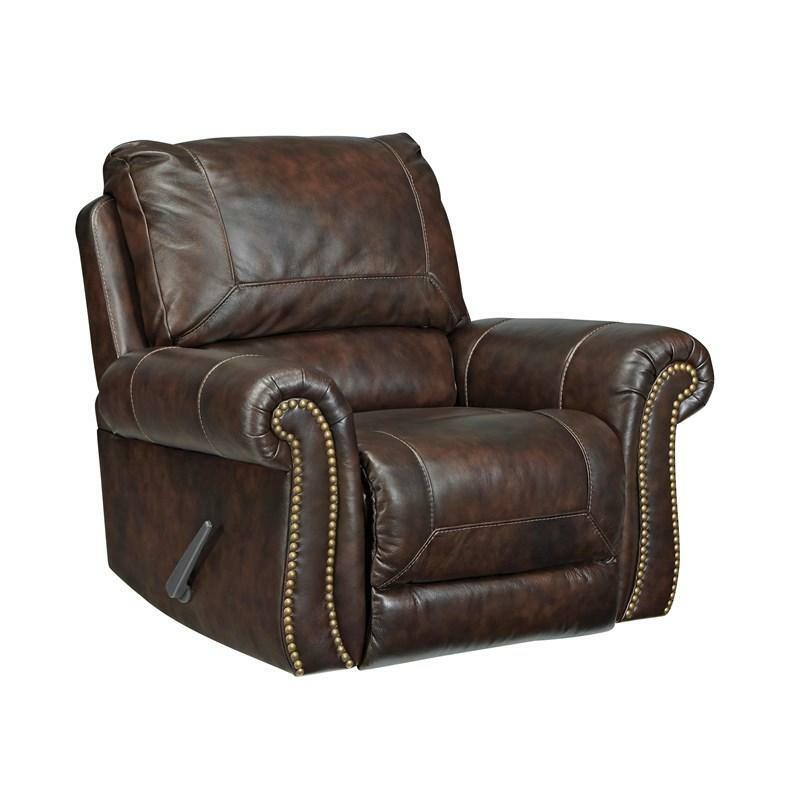 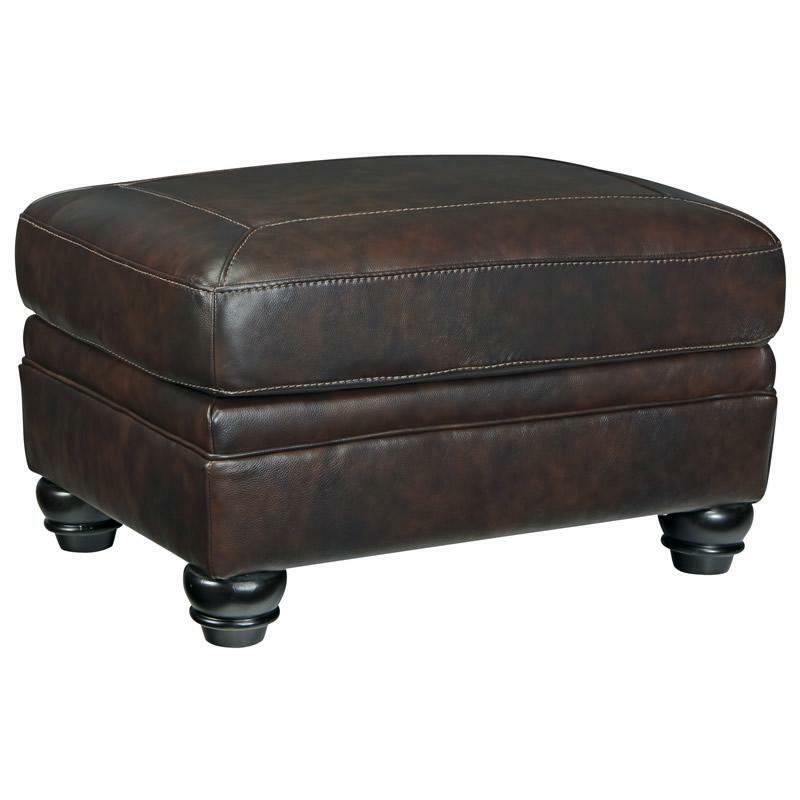 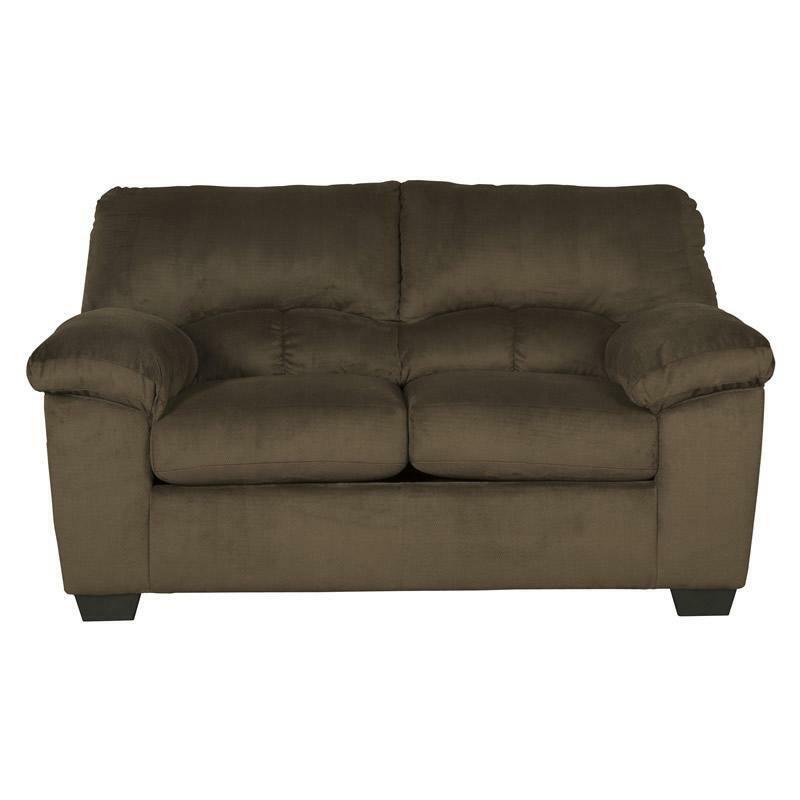 Additional Information Minimum width of doorway for delivery 32.00"; Distance between arms 67.00"; Arm height 26.50"; Leg height 3.50"; Distance from end of sleeper to outside back 89.00"
Seat Loose Seat Cushions; Seat depth 22.50"; Seat height 20.50"